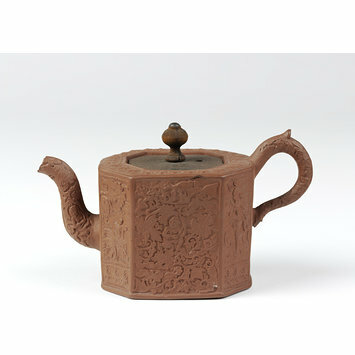 Teapot and cover of, press-moulded red stoneware. 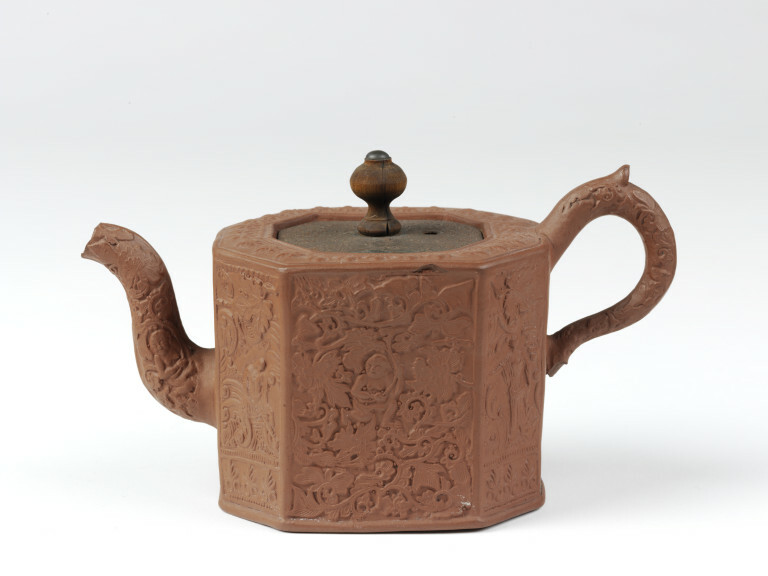 Teapot and cover, press-moulded red stoneware, made by Thomas Whieldon, Fenton Vivian, Staffordshire, ca. 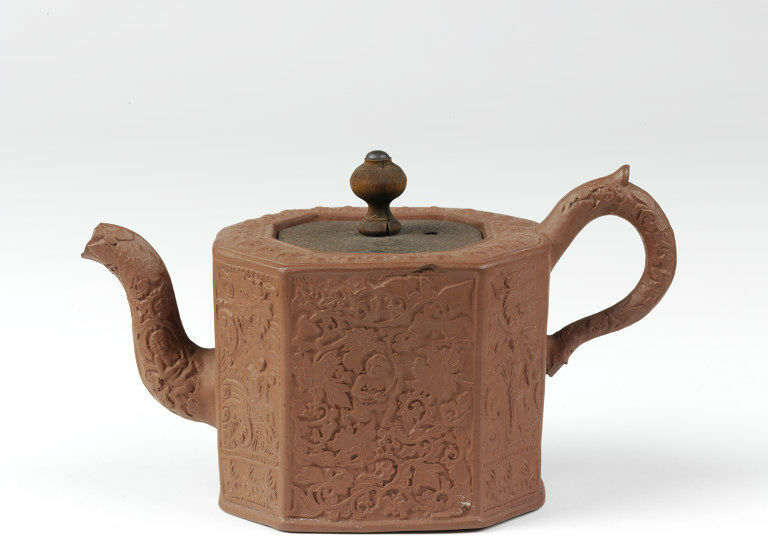 1750-1760.